I am a retired medical professional now disabled. 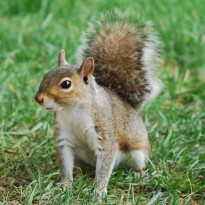 I gather books like a squirrel gathers nuts. I spend my days reading and post reviews when I can. Great authors perform art with words. Having the capability to make someone happy or sad and travel to different times and places has always impressed me. Through my reviews I hope to encourage others to read and enjoy the art of great authors of our past, present, and future. This is one of Elizabeth Jane Howard’s most endearing stories, and if you love British classics then this one needs to be on your must-read list. This story is about Gavin a 31 year old hairdresser who has no trouble conversing with his middle to elderly aged clients, but when it comes to women his own age he is all butterfingers verbally so to speak. Then his best friend Harry (who is gay) takes Gavin to a party and his life makes a complete turn around, and the fun begins. I really enjoyed reading about Gavin’s bumbling experiences, the three totally different women who came to impact his life after going to the party, and his eccentric family and coworkers. All of the characters are well developed and the author did a great job of bringing you into the story. I felt as though I was right there throughout the story experiencing all of the laughs and sorrows with Gavin. 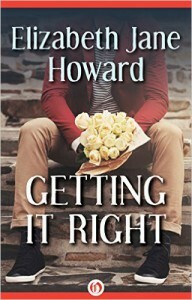 “Getting It Right” touched my heart and that is how it should be.